Hi everyone! 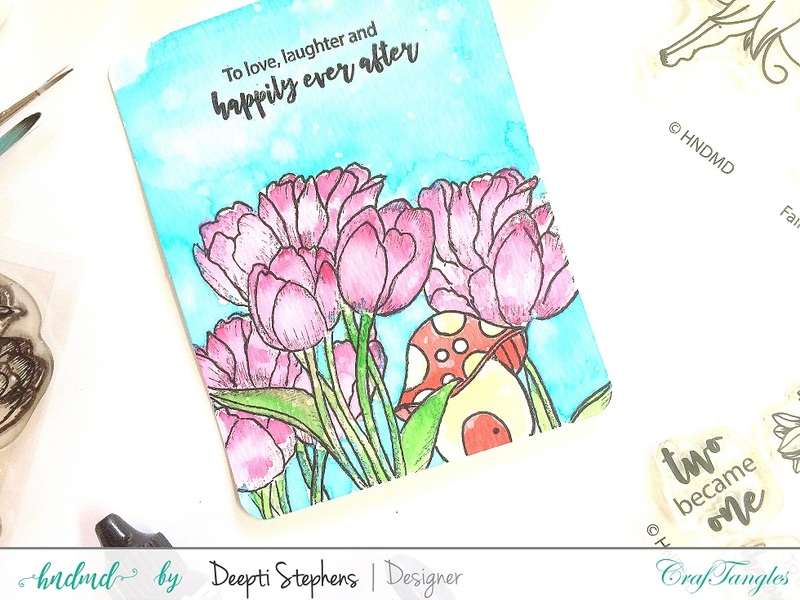 This is Deepti Stephens and welcome back to another blog-post. Today, I'm so happy and excited to share my project with you all. 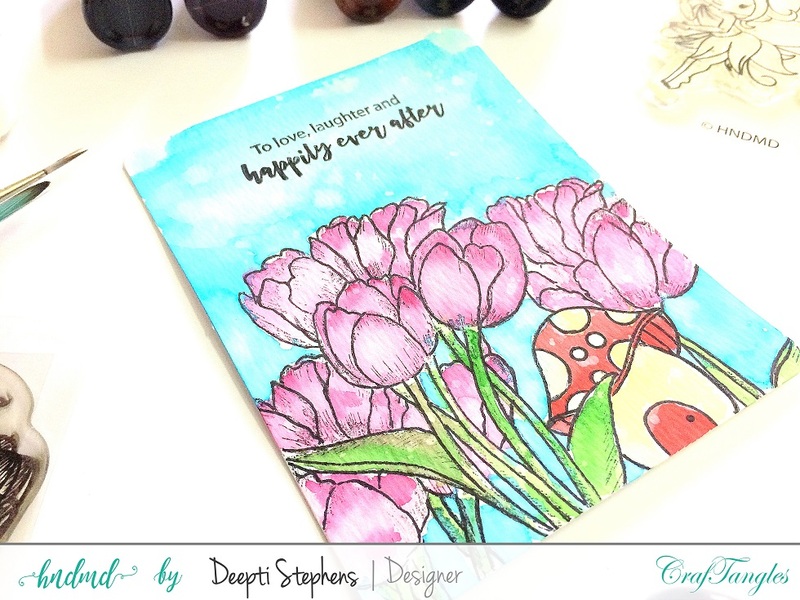 It's all about the newly released 'Liquid Water Colors by Craftangles'. These colors are so vibrant and gorgeous, they come in cute bottle and you'll need to pierce a hole through it. They react with water very well and to color the image a drop is more than enough. You can achieve many shades from dark to light from that little drop. I'm not a water color artist but I'd love to be one! 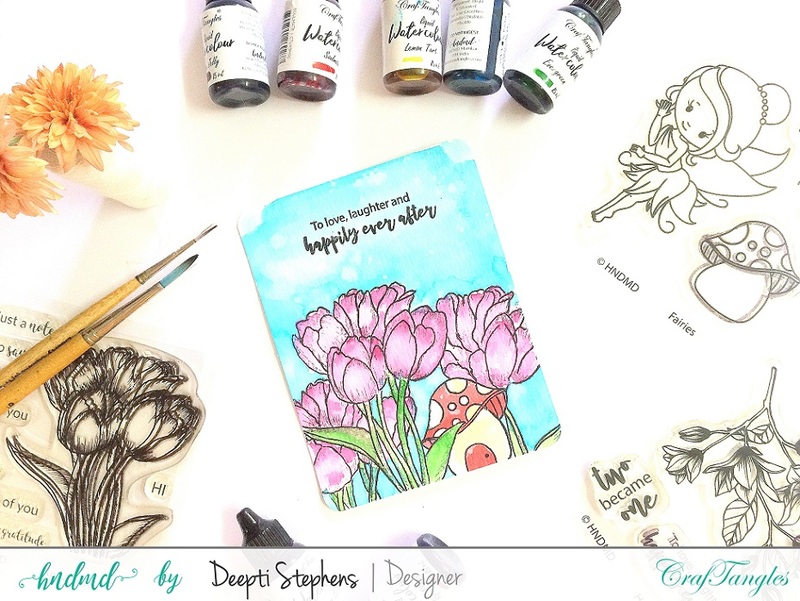 Here is my little effort on showing how you can use these Liquid Water Colors. Here is the swatch I made on Canson Water Color Paper..
Once the scene was build up, I went ahead and water colored the images. I went with light shade and then slowly build up the layers. 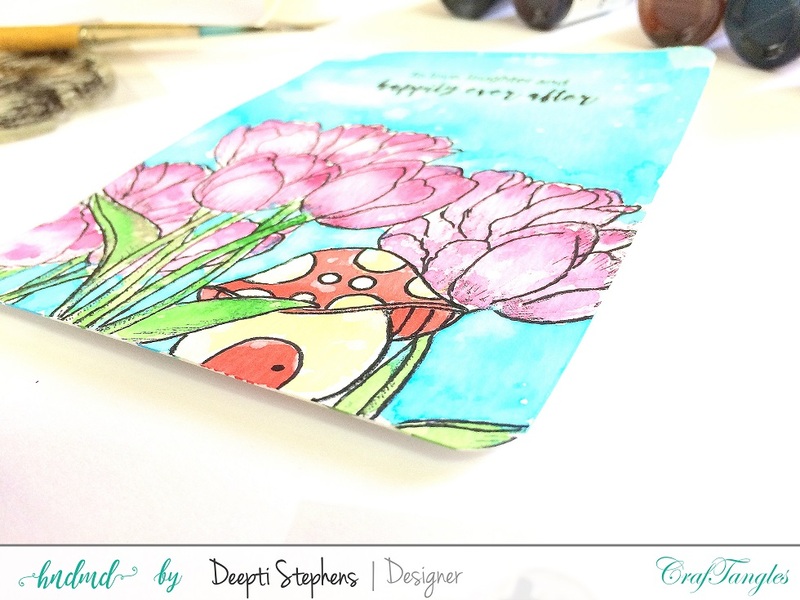 Lovely card Deepti !! I loved how you have combined the stamp sets.